Ocean of Dreams 2 - A DREAM COME TRUE! 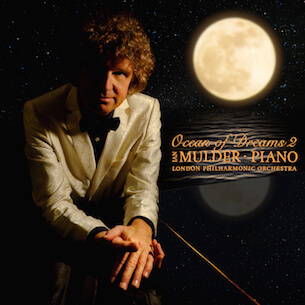 Ten years after the gold/platinum CD Ocean of Dreams 1 was released, the sequel by pianist Ian Mulder & the London Philharmonic Orchestra saw the light: Ocean of Dreams 2. Beautiful new compositions masterfully composed by the pianist make this album a gem, as well as the world-renowned guest artists who joined Mulder for this album: flutist Lisa Friend (who performs a magnificent flute version of the title track "Ocean of Dreams 2"), master violinists Pieter Schoeman and Carmine Lauri. Mulder's composition "Fragrance of Love" features the infamous boys choir LIBERA. This CD is certain to bring you many years of pleasure and enjoyment!